This is an important development for the group as VSPC owns proprietary processes for the production of lithium ion battery cathode materials, as well as a comprehensive pilot plant and advanced laboratory and testing facilities. 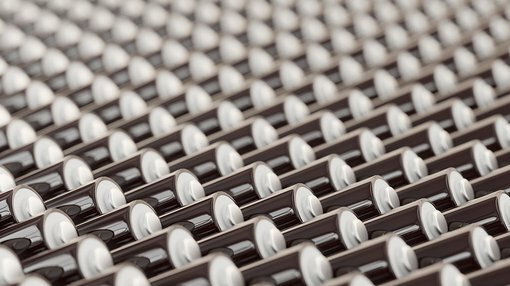 The VSPC technology is adaptable to the production of a wide range of cathode materials and provides a simple and cost-effective means of producing such materials within an environment of superior quality control. 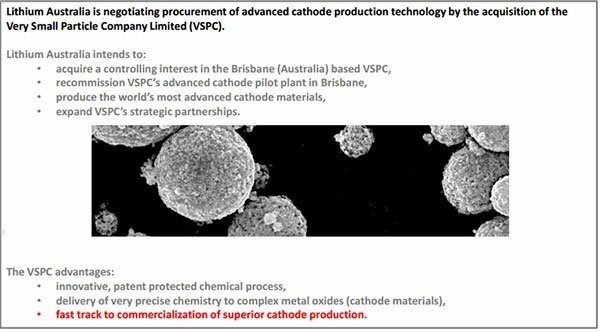 In terms of the science behind the VSPC technology, it commences with cathode metals in a solution from which the cathode nanoparticles are precipitated. The commencement of the process is compatible with the solutions produced during the processing of hard-rock minerals to recover lithium carbonate, or lithium hydroxide. The direct production of cathode materials from such solutions potentially removes two process steps involved in the manufacture of cathode materials, resulting in a revolutionary process which capitalises on the value-add generated by progressing from lithium chemicals to cathode materials. LIT is investigating the seamless production of cathode materials from hard-rock minerals using hydrometallurgical front-end processes including the company’s proprietary SiLeach LMax processes (owned by Lepidico Ltd) for which LIT has exclusive rights in Western Australia. It should be noted here that LIT remains a speculative stock and investors should seek professional financial advice if considering this stock for their portfolio.